Wahiawa General Hospital, Wahiawa, Hawaii, includes a 53-bed acute care hospital and a 107-bed long-term care facility. Wahiawa General Hospital serves Central Oahu and the North Shore. 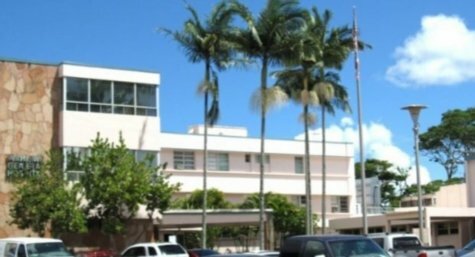 Our hospital was founded in 1944 in response to the healthcare needs of the community following the attack on Pearl Harbor, and continues to serve as the community’s most comprehensive healthcare facility. Our mission is to meet the healthcare needs and exceed the expectations of our patients and customers. Our commitment is to deliver the best possible care to every patient entering our hospital. We offer progressive skilled services, individualized care and advanced technology to benefit patients and families. We are accredited by The Joint Commission for meeting the Commission’s nationwide health care performance quality standards. Wahiawa General Hospital is also a recipient of the Get With The Guidelines®- Stroke Gold Award from the American Heart Association and American Stroke Organization. This honor recognizes our program to improve stroke care by promoting consistent adherence to the latest scientific treatment guidelines.